One of the more interesting aspects of engine design are the ideas that don’t work. De Virgilio, father of the Aurelia V6, also tried the unusual. His One-rod engine, shown in this new drawing by Luigi De Virgilio, was for a vertical square-4 cylinder arrangement radically different from any other conventional automotive engine. 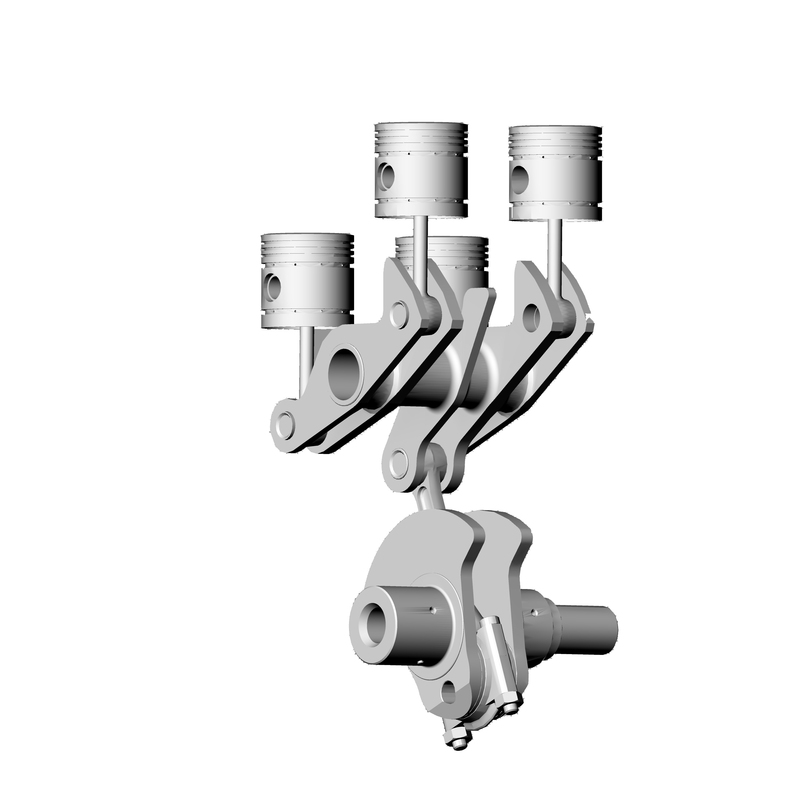 Its best described as a pair of parallel twins, each coupled by an internal rocking arm, with a single rod running vertically to a very short crankshaft. It was a very compact engine to provide maximum interior space in the upcoming Appia.For additional details, see Lancia and De Virgilio, At the Center.